“Impossible!” some people challenge me: “You can’t live on so few calories.” But quite clearly, I do. On average, one burns 750–850 calories in a 90-minute Bikram yoga class. Since I often take two classes a day, I may well burn 1500 calories a day just from yoga classes, before we begin counting up everything else. I consume approximately 1200 to 1400 calories daily, and my weight stays constant. This might seem impossible to a nutritional scientist. Some nutritionists would calculate that I must be wasting away. However, in the words of Mr. Churchill, “The rumors of my demise have been greatly exaggerated.” I’m not only living but also thriving on a calorie-restricted diet. Those who practice yoga (especially hot yoga) know they derive a good deal of energy just from doing yoga poses, not from food specifically. Literature on meditation reveals that meditators regularly experience a decreased need for food. In fact, the longer one is in a meditative state, the less food one will need. It might seem inconceivable to a nutritional scientist that someone is getting energy just from “sitting in a lotus pose.” Yet it’s true, and these people are living that truth. The inescapable conclusion: Not all energy comes from food. Some things cannot be proven scientifically—at least not yet—but must be experienced. 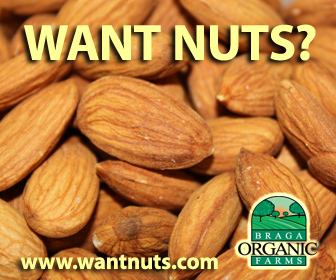 Take the thinking of a nutritional scientist. He’s intellectually skilled. He knows how proteins are formed, how fats are conserved, how carbohydrates are used in the body. It is possible to come to a conclusion, based on scientific research, that CR is beneficial or that raw food diet is good for your body, but it’s extremely hard to be certain, scientifically, about that conclusion’s correctness. To me, on the other hand, the question is not whether a low-calorie lifestyle passes scientific muster or not. This position is right for me because it works, because I am living it. Should my raw food, calorie restricted lifestyle suddenly receive the science community’s seal of approval one day, that fact won’t make me any more right. At the same time, even if nutritional science “proves scientifically” that this lifestyle is wrong, I won’t move from my position. Now, our nutritional scientist—if you can prove to him that the 100 percent low calorie raw food lifestyle is “wrong,” scientifically, he will move. The difference between him and me: I have personal experience to back me up. And, in most cases, he doesn’t. Living the truth does make a difference. I encourage you: Try a fully raw food lifestyle for yourself, just for a while. Stop eating at night, but try calorie restriction ONLY if you are over 40. Create your own experience. Then judge for or against. You may decide that it’s not for you. But let your own experience be your guide. Nutritional science is notorious for changing its opinions. And, so often in this field, we see one dead firm opinion replacing another. I keep reminding myself that, where I’ve already formed a conclusion, I cannot learn anything. It is far better to withhold our judgment on something we do not understand than to condemn it. Try discovery first—leave understanding until later. We can only hear what we are ready to hear. Sometimes it is very beneficial to re-read a book, mine included. Often, in re-reading, we see some things we've missed before. 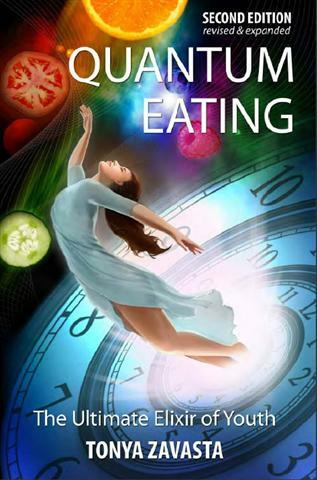 Take a look at Quantum Eating again, now in it's 2nd Edition! Muscle Loss Due to Aging: How to Avoid it? Luigi Cornaro Lived to Be 102 Years Old: What Can We Learn from Him?